Teeth whitening for kids in Brooklyn is quite popular. You may not need emergency dentistry for kids when their teeth turn yellow, but the best kids dentist in Brooklyn can tell if there are any underlying conditions causing the discoloration. How to whiten kids’ teeth is a specialty of pediatric urgent care in Brooklyn, such as at Family Cosmetic & Implants Dentistry of Brooklyn. While it’s best to wait until your kids’ permanent teeth come in, your children’s dentist in Brooklyn should be the one to provide the whitening at any age to prevent side effects. When a child’s permanent teeth come in, they usually don’t look as white as baby teeth. Parents are often not happy with this development and may consult a pediatric dentist about teeth whitening for kids. There are a variety of tooth whitening products available over the counter in Brooklyn, NYC, but many have chemicals that may be harmful to your children. Wait and rely on the advice of the best pediatric dentist before making any decisions. Teeth normally turn yellow or grayish as you get older. Even for children, teeth are not naturally pure white. There are a wide variety of natural shades of teeth, including shades of yellow, beige and gray. The best dentist for kids helps you choose the most natural look for your kids and their well-being. To answer the question of how to whiten kids’ teeth, the process uses peroxide-based bleaching agents applied to the teeth. This procedure can be done at home or by a dental professional. At-home solutions contain up to 20 percent peroxide, while in-office systems may contain as much as twice that amount. The longer bleaching solutions are left on the teeth, the whiter they become. When whitening is performed by a special needs pediatric dentist, results are usually seen faster than when treatments are done at home. The process can be accelerated using light, heat or both — although this usually requires several office visits. Either the inner or outer part of teeth can become discolored. The dentin is the inner part of the tooth and the part that typically becomes discolored as part of the aging process or as a reaction to medications. When Can Children Have Teeth Whitened? Although your children’s teeth may look somewhat yellow, you shouldn’t rush into using tooth whitening products. Your toddler dentist in Brooklyn recommends that teeth whitening for kids not be done until your children have lost all their baby teeth. Whitening baby teeth results in the permanent teeth not matching the bleached baby teeth. Before considering tooth whitening, permanent teeth should be in place and not still be in the process of erupting, which is usually completed around the age of 12 or 13. Any orthodontic treatment that the child may need should already be complete. Before letting your kids undergo any type of at-home teeth whitening, consider the possible side effects. At-home products may be misused or overused by children or teens. Teeth whitening can cause tooth sensitivity, and children may experience a greater degree of sensitivity than adults. The chemicals used to whiten teeth can also lead to damaged gum tissue or injured tooth pulp. Overuse of at-home products purchased in stores can break down the structure of the teeth. Teeth whitening for kids can mask conditions that may cause tooth discoloration, which might delay other types of dental treatments your children may need. Teaching your children to get in the habit of regular brushing and flossing is the most important action you can take to prevent tooth discoloration. Visit pediatric dentistry of Brooklyn for regular checkups and professional cleanings. If plaque and tartar build up on teeth, it can make them appear yellow and lead to decay, so regular removal of buildup is critical. Watching your child’s diet is another important factor in the prevention of yellowing teeth. A balanced diet can not only improve general health, but also the health of teeth and gums. Include green, leafy vegetables and whole foods and fiber. Limit sugary snacks, drinks and breakfast cereals. Encourage your children to drink plenty of water to help remove acid-producing foods from teeth and mouth. Consult a pediatric dentist in Brooklyn if there are isolated incidents in which one or two baby teeth need to be treated. Talk to your child’s dentist to find out whether the use of whitening toothpaste is recommended. Teeth whitening for kids is a cosmetic dentistry procedure, so dental insurance won’t cover the costs. But if you’re considering how to whiten kids’ teeth because you’re not happy with the color of your children’s teeth, talk to the professionals at Family Cosmetic & Implants Dentistry of Brooklyn, the best children’s dentist in Brooklyn. Do you have any questions about the Teeth Whitening for Kids & Teens in Brooklyn? 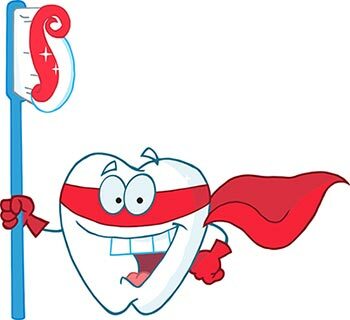 For more information or to schedule an appointment with the best in class pediatric dentist in Brooklyn Igor Khabensky DDS of Family Cosmetic & Implants Dentistry of Brooklyn? Please contact our pediatric dentistry clinic for consultation with the kids dentist Igor Khabensky DDS.